Return to the days of magic, maidens, goblins and gold to help an unwitting knight and his feisty wife find the Fountain of Living Water. Only those players who figure out the quickest way through each level will win the gold! Are you ready to prove yourself? Then play this side-splitting time management epic today! 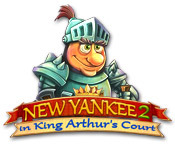 New Yankee in King Arthur's Court 2 is rated 4.2 out of 5 by 43. Rated 5 out of 5 by Bumbles2 from A very enjoyable play...Lots of fun !!! My Grand-kids and I had a ton of fun playing this game...and I was amazed that some of them could even figure out the more difficult area's !!! Each new area you encounter you won't have difficulty finding your goals...everything is easy to identify...which is a pleasure to see !!! I found the music is a bit monotonous...we just turned it down and put on some of our favorite tunes. The artistry was well done...as always !!! There are some fairly difficult areas to challenge your wits...but with a little bit of strategy its doable !!! On top of all that we had some really good laughs at some of the humor they used throughout the game !!! I totally recommend this game !!! Take care all and have fun !!! Rated 5 out of 5 by CarolCurler from Great Game! 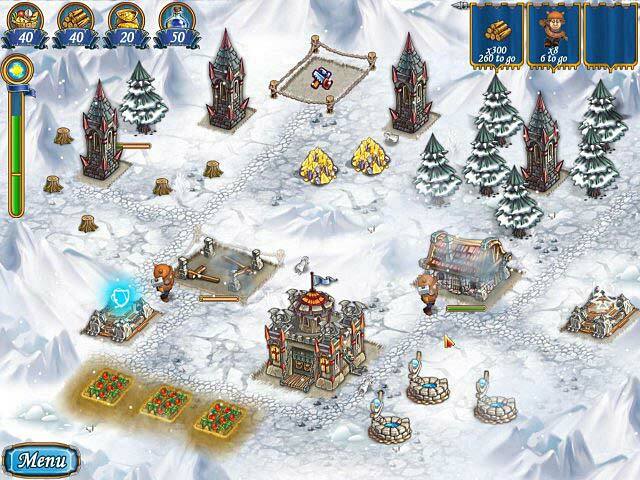 New Yankee in King Arthur's Court 2 is just what I was looking for - a TM game, good entertainment with good graphics and music, cute characters, new challenge at every level. Very relaxing yet stimulating. I hope there's a sequel to this one soon. Rated 5 out of 5 by rlambert from One of my favorite I bought this and the first one, although easy to beat with master scores within 2 hours, still one of my go to games when bored. Rated 5 out of 5 by jgaulrapp from Love these time management style games I really enjoyed the game and wish is had a few more challenging levels. I was sad to see it end. Rated 5 out of 5 by Eventually from great a definate buy as this 2nd series is more of a challenge than the 1st. Rated 5 out of 5 by Sangriatinto from Verry funny! Verry funny but not long enough ! Rated 5 out of 5 by Pst4n3k from The best time management game ever! I simply love this game. 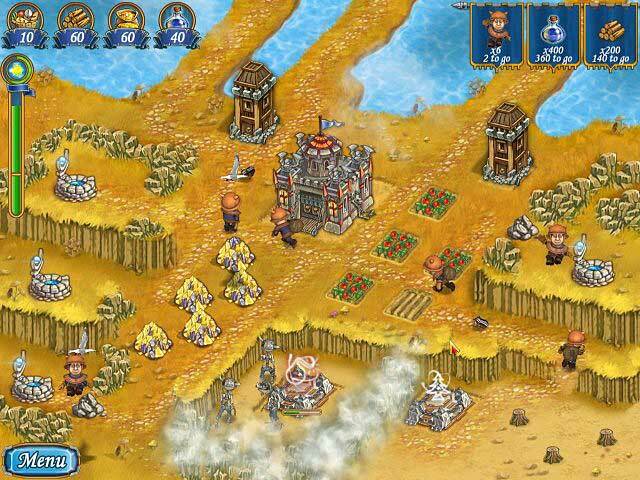 It's not too difficult, it's true, but with the achievements one has more strategy options to play. I hate games where there is no chance of gold if you don't spend days or weeks playing the same old level. I don't have enough time for that. The story is great, with a bit of humour thrown in. Everything is big enough to see what is actually going on. New Yankee 2 is even better than the first one, whit more funny characters. I can only hope the sequel no. 3 is coming out soon! 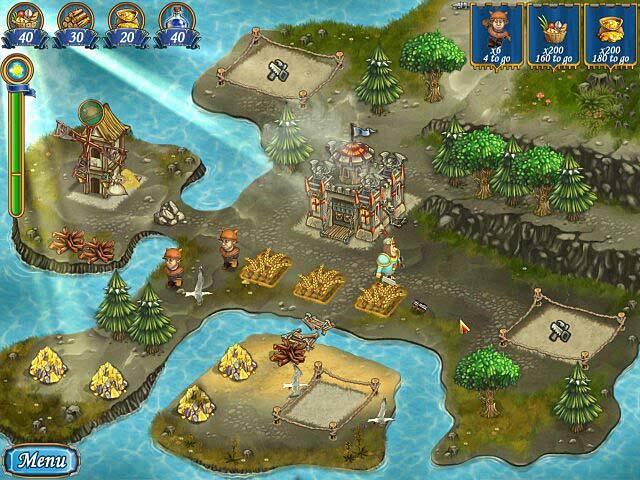 Rated 5 out of 5 by PhoenixRising702 from Fun! I enjoyed this game. It was fun, entertaining and it gave me something to do during my "wind down time" after a busy day. I will be purchasing both one and two. Thanks Big Fish for always supplying something fresh and new!